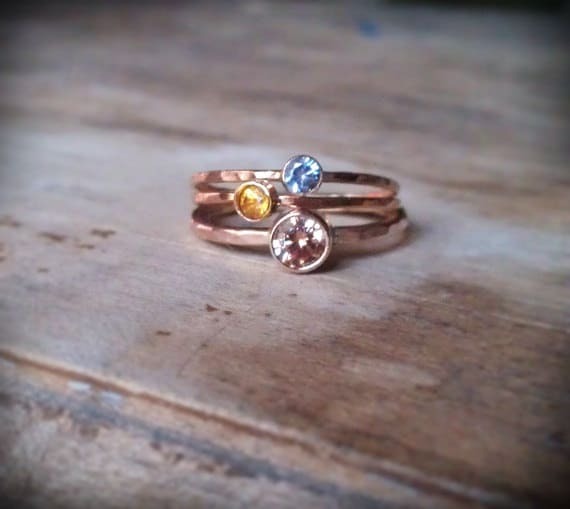 Customize your own combination of stones in this beautiful stacking set. All stones are set using 14k gold bezel and 14k gold filled hammered bands. 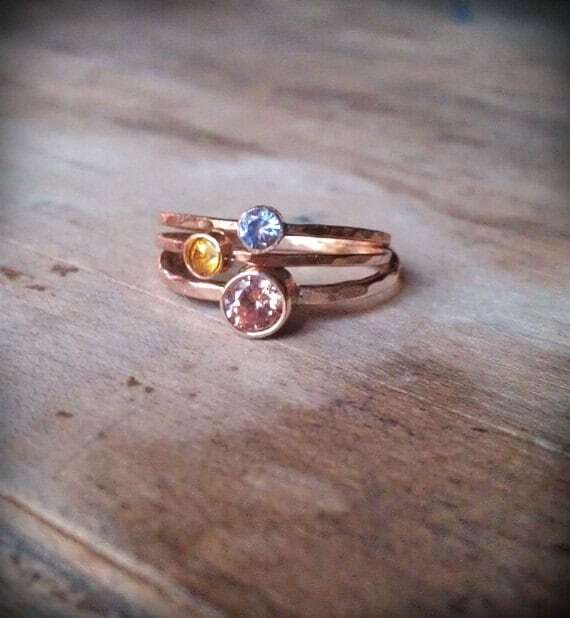 This stack includes one 4mm stone on a 16 gauge hammered band and two 2.5mm stones set on smaller 20 gauge bands. 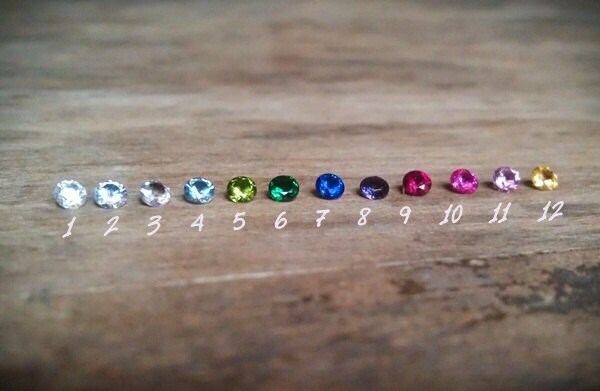 Please choose your stones from the list below. Check out the pics for color options. If you would like all thick or all skinny bands please convo. 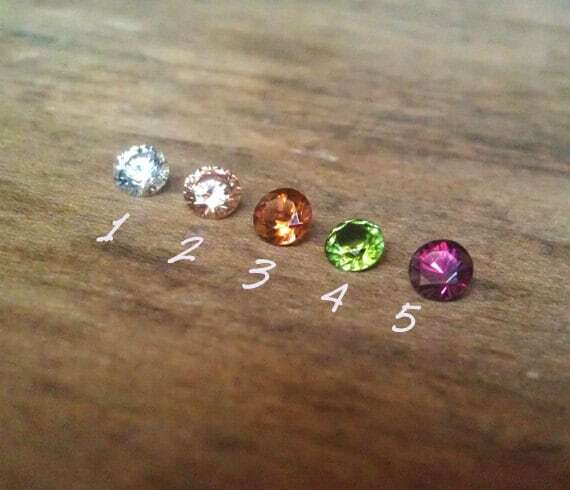 All stones are are either lab grown or natural Fair Traid earth mined to give you peace of mind while purchasing.